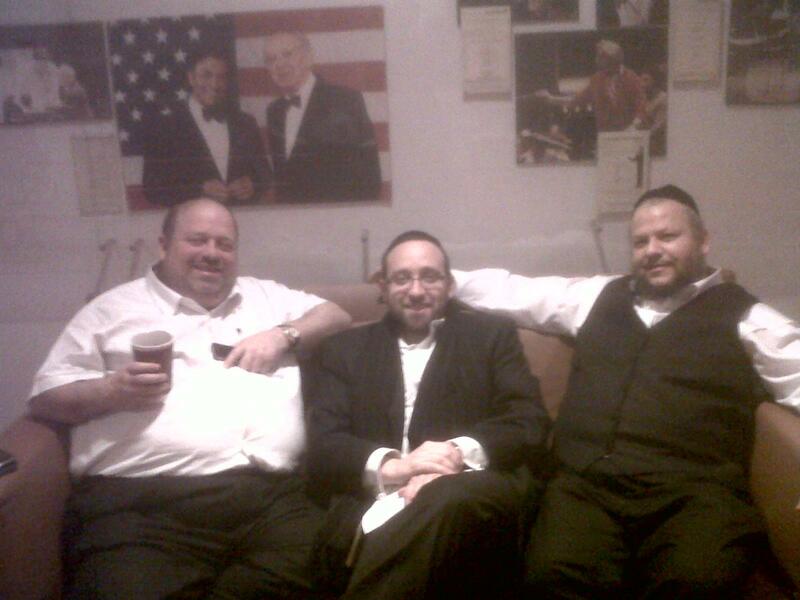 Having seen my share of HASC videos and having heard the timeless classics that were introduced at HASC concerts over the years, going to an actual HASC concert, long touted as “the concert of the year” has always been on my to do list. Being presented with a pair of tickets to a HASC concert seemed like a golden opportunity to experience this musical event firsthand. As with any concert, there are both advantages and disadvantages to seeing an event in person. A concert video doesn’t capture the energy and the excitement of a sold out audience, the majesty of a room like Lincoln Center’s Avery Fisher Hall which seats 2,738 people. But a live performance doesn’t offer any chance for do-overs. You have one chance to get it right and if you mess up, chances are good that people will notice. 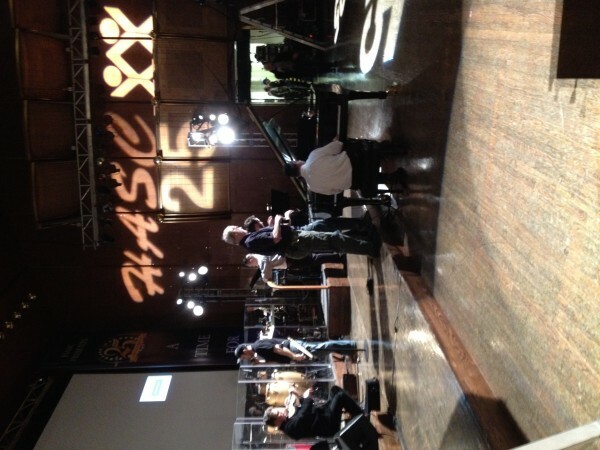 This year marked the 25th anniversary of the annual concert originally conceived by Sheya Mendlowitz as a fundraiser for the children of Camp HASC and in general, the concert focused more on the concept of the HASC concert than the music itself. That is not to say that there weren’t some memorable performances, but by and large the night was all about the concert itself. Performers were mostly limited to a single song each, with a never ending stream of singers taking the stage one after another, introduced by the number of times they had each appeared in previous concerts. 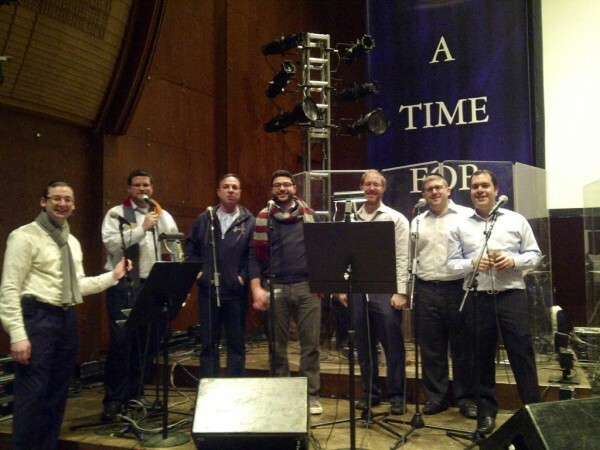 Only two acts were invited for a debut on the legendary HASC stage: The Maccabeats and 8th Day. The evening began promptly at 7:30 as advertised, with Yisroel Lamm conducting a Neginah orchestra that had approximately twelve pieces. 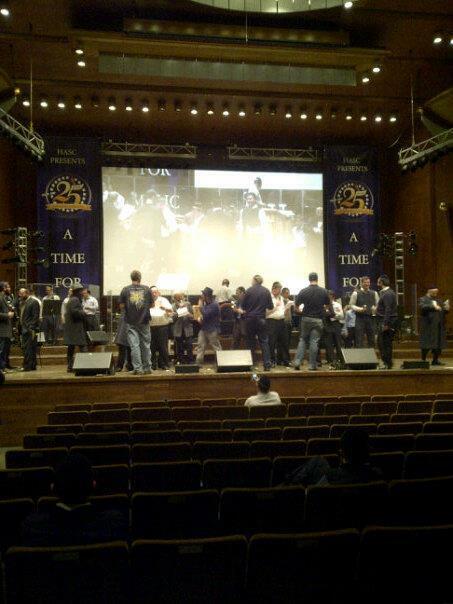 The HASC choir, led by Shloime Kaufman and featuring Sholom Jacobs, Yaakov Klein, Yaakov Ettinger, Meir Popowitz, Asher Fine and Shua Nachman, was on the stage for much of the night and did an outstanding job. The stage featured a big center video screen flanked by two 21 feet high banners bearing the words “HASC 25 A Time For Music,” artfully designed as was all the HASC artwork. Before I go through all the songs, let me just issue a disclaimer. I will probably get some names wrong. Feel free to correct me in the comments section and I will be happy to make changes as needed. First up on stage were Avraham Fried, Lipa Schmeltzer, Shloime Gertner and Ohad who used the nusach of Maariv for Kol Nidrei night as an introduction to a set of songs including Ribono Shel Olam, the HASC classic Small Piece of Heaven, Abi Mileibt, Adi-Tanya as performed at HASC 20 and Avraham Fried’s Shalom Aleichem. Dedi came onstage to join the quartet and the group sang Dedi’s Kulanu Nashir B’Yachad, with lots of help from the audience, occasionally substituting the words “twenty five years together” for “everyone sing together”. A breakdancer dressed up as the aging Six Flags dancer used in previous HASC campaigns came on stage for a few moments and the last song sung by the group was London School of Jewish Song’s Mareh Cohen. Next up was a quick, modified video clip of Dovid Gabay learning with his son, from the Ana Avda video released by Sheya Mendlowitz in conjunction with his Big Time Alte Heim album, followed by Dovid Gabay dancing all over the stage as he sang Ana Avda with the choir. Abie Rotenberg was introduced as the HASC record holder, having appeared at fourteen HASC concerts and he spoke briefly and beautifully about both HASC and concert founder Sheya Mendlowitz who was not in attendance. After asking the audience to give Sheya a standing ovation, Abie launched into the first song he ever wrote for HASC, the truly touching Who Am I, which all these years later is still as beautiful as ever. Zale Newman, master of ceremonies for the first six concerts introduced the next segment of the evening, paying tribute to six performers who had previously graced the HASC stage but are no longer with us. After first mentioning Laibel Heshel, Danny Berkowitz of Menucha and Mikey Butler, Newman introduced musical tributes to three musical greats who were all HASC alumni: Shlomo Carlebach, Jo Amar and Moshe Yess. Eitan Katz, Yehuda Green, Chaim Dovid and violinist Ruby Harris performed Carlebach’s U’fros Aleinu followed by Hashem Oz. Ohad returned to the stage for an impressive performance of Jo Amar’s Barcelona, followed by Avraham Fried singing Moshe Yess’ signature song My Zaidy. The next singer, Israeli entertainer Yoel Sharabi, was introduced by Uncle Moishy as one of the original HASC performers. 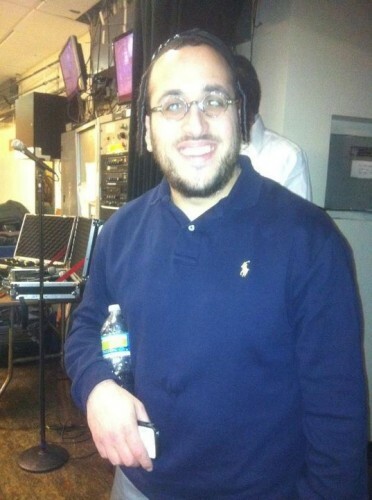 Sharabi, who plays several instruments proficiently, came out on stage with bongos, beginning with a few bars of the chorus of the classic Kol Haolam Kulo, before launching into a rendition of the Eyal Golan hit Mi Shemaamin, recently redone and made popular by up and coming superstar Benny Friedman. While the middle aged Sharabi can’t possibly match the energy and voice of Friedman who is so many years his junior, he gave an enthusiastic performance, jumping all over the stage with a temporary segue into Mordechai Ben David’s Mitzvah Gedola. Next on stage was concert chairman Miles Berger. After all, you can’t possibly have a benefit concert without thanking all those involved in the process, can you? But the expressions of gratitude were short and in no time at all, Shalsheles and Shalsheles Jr. took the stage. 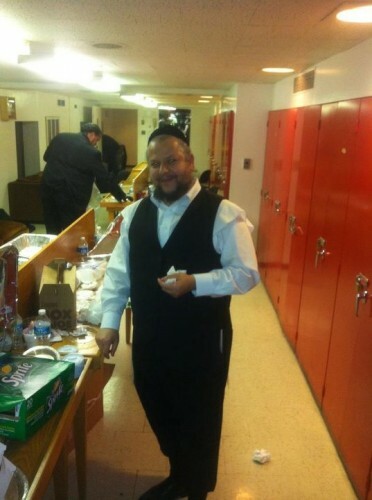 Neither group was full, as both Simcha Sussman and Edan Pinchot live outside of the New York area and were absent. Following a short medley of Heyma and Gadol, the Maccabeats (or most of them anyway) appeared singing their viral hit, Candlelight. Chazzan Yitzchok Meir Helfgott delivered a flawless performance of Moshe V’Aaron and was followed by Lipa, in an electric jacket and hat. I mean, literally electric, as the trim on both Lipa’s jacket and hat were trimmed with lights, which was pretty cool on a darkened stage. 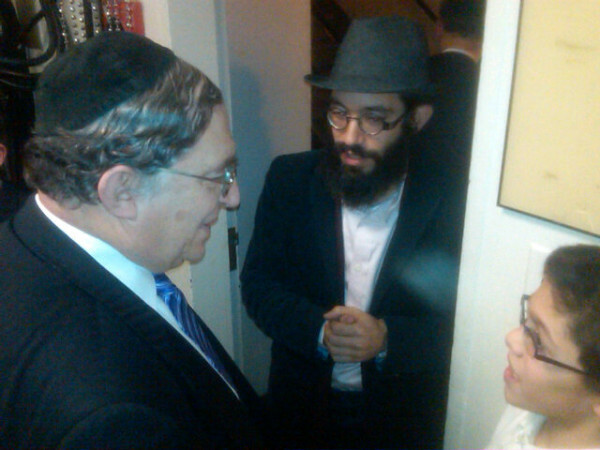 Lipa launched into a cute bit as he reminisced about previous concerts and a video showed first a five year old Lipa singing at his home in New Square when the HASC concert series began and we see Lipa singing at age ten, then at age twelve in his first pair of unconventional glasses, which Lipa described as having been paid for by Medicare. Lipa continued in his musical musings, consistently crediting the wrong singer with a particular song, describing Shlomo Carelbach singing Diet, Abish Brodt singing Ya’alili and launching into a nigun he claims to sing every Shabbos with his children, the theme from the Godfather, before conductor Yisroel Lamm attempted to set him straight. Up next was, what for me was probably the best performance of the night, as Journeys, aka Abie Rotenberg, Elie Kranzler and Gershon Veroba took the stage, singing Abie’s first English song, Time to Say Good Shabbos. From there it was time for the second debut performance of the night as 8th Day rocked the house with Ya’alili. Another tribute followed, this time to the numerous gedolim that were niftar recently, by the trio of Srully Williger, Mendy Wald and Shloime Dachs singing the touching songs Lev Tahor and Acheinu. Sadly the accompanying background video with pictures of the gedolim never went on. Dedi was the next performer to take the stage which was already occupied by a royal guardsman, one of the unsmiling sentries who flank the gates of Buckingham palace. 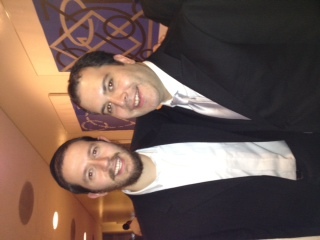 In an attempt to get the guardsman to smile, Dedi hums Shloime Gertner’s Shmeichel, but to no avail. Hoping that perhaps a fellow Englishman would have more success coaxing a smile out of the guard, Dedi is joined by Gertner and after a rousing chorus of Shmeichel and Dedi’s V’Koivei, the guardsman starts to loosen up, as his limbs start to twitch and by the end of the set he removes his tall black hat, puts it in front of his face and we are rewarded with a smile from the Justin Bieber look alike dancer who we first saw at the Ohel concert this past November. Singer/Composer Baruch Levine took a seat at the piano bench, singing Bitchu from his latest album, Hashkifa, followed by a song and dance number from Miami Boys Choir as the boys bounced all over the stage singing the opening track from their latest album, Shema Yisroel. The evening ended on a bizarre note, as Yigal Calek took the podium, reminiscing about his youth in Tel Aviv, as he was addicted to music but there was no Jewish music available and in a short sermon, he both thanked HASC for a quarter of a century of beautiful concerts and chastened the performers to keep the “Jewish” in Jewish music. 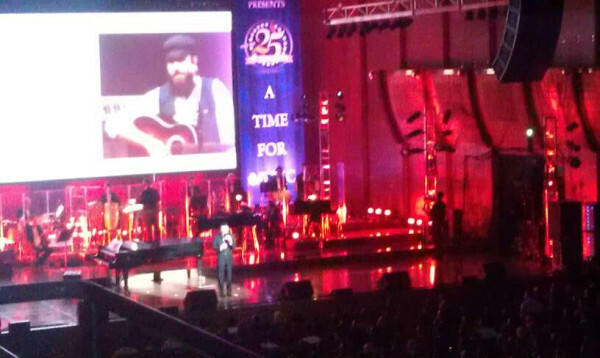 A video of Camp HASC set to Avraham Fried’s Forever One was a poignant reminder of what the HASC concert series is all about, as the beautiful faces of the HASC children and the dedicated staff filled the large video screen. The entire cast gathered onstage for the HASC theme song, Candles, complete, of course, with candles illuminating the darkened stage in addition to Lipa’s electric couture. 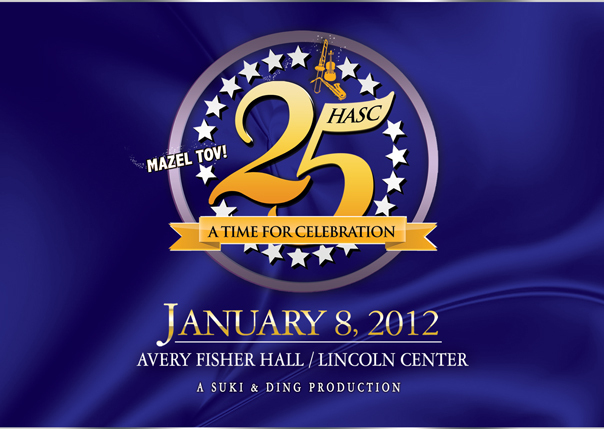 There is no question that while the HASC concert is a huge fundraiser and one of the most highly anticipated musical events of the year. 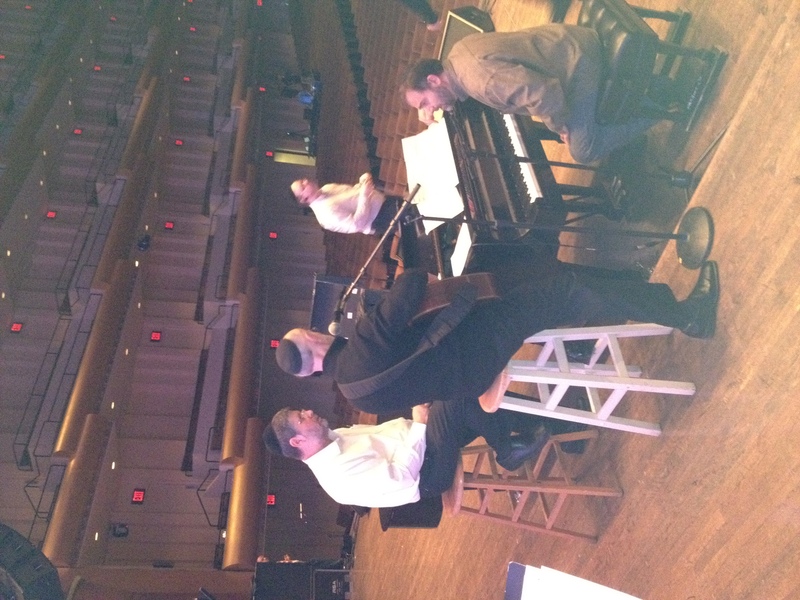 For music lovers everywhere, the fact that other organizations have also begun staging top notch fundraising concerts that give HASC a run for its money is a positive development as it raises the musical bar for everyone. For those who are looking for musical perfection, where every vocal and every note is dead on, I strongly suggest you stay home and wait for the HASC concert to come out on video. For those who are looking to make a sizable donation to Camp HASC, while enjoying an evening of live music, you might want to start thinking about HASC 26 before it, too, sells out. and did shalsheles sing Esah Einei, Mi Haish, and Modeh Ani Again? And most of all, Dedi has so many beutiful slow songs, why do we always here Sim Shalom?? Sorry for being such a kvetch, I’m sure it was a great concert, and much thanks to HASC, I wish I was there! No, Shalsheles did not sing the songs you listed, not did Dedi sing Sim Shalom. If they had I would have mentioned it. Everyone pretty much got one song to sing. Kind of like a concert with a big revolving door. On stage, off stage, neeeext!! And yeah, you would have thought there would have been a song written for the occasion. But apparently the powers that be either never thought of it, or decided against it. This wasn’t a concert where they innovated. It was more of a celebrate previous HASC concerts by putting up lots of people who have already been there and get the hottest new acts, Maccabeats and 8th Day up on that stage as well. 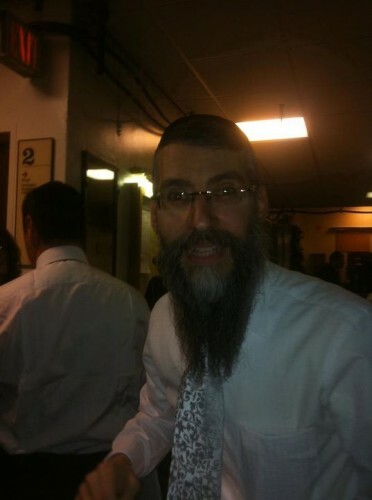 Joel…does MBD sing at mixed concerts? Who needs MBD who have got a big lineup as it is and especialy when you have FRIED you dont need mbd!!!!!! Ooops! Knew I was gonna get some of the names wrong! Sorry, my bad! Wow! What does Yigal Calek look like these days? 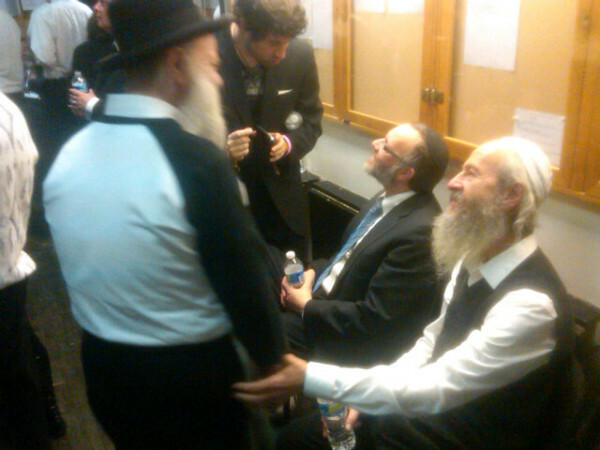 I suppose he closed the show as the sage of Jewish music. Like a distinguished older gentleman. Maybe the fact that he was older than everyone else is what inspired him to give mussar to the performers? No idea. Am i the only one who just doesnt `get ` the maccabeats? 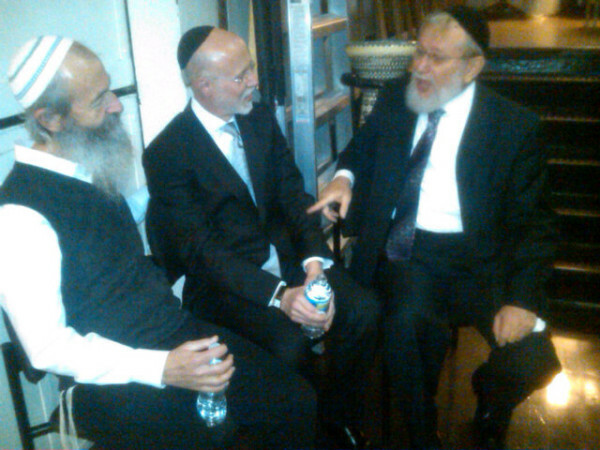 mbd has sang previously many times at hasc so the mixed concert thing is a non issue. i think that the fact that hasc has brought back about 99 percent of all their stage alumni is fantastic. 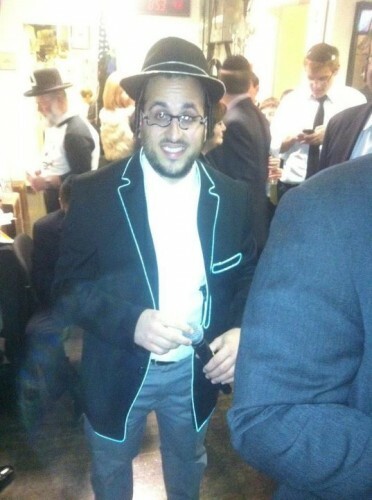 by the way where is kol achai (Hasc 4) benny friedman( hasc 24) sandy shmuely(hasc 7) yossi green (an early one)? it looks like from the reviews and pics that it was a great concert. 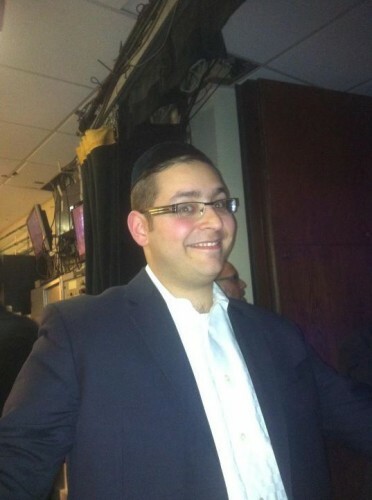 oh and by the way, if they were getting everyone from previous concerts where were shlomo simcha (hasc 18 + more) and the yeshiva boys choir (hasc 18,19,21)? i wish they would do concerts like this in london! I was there. Nice article in many ways, but much of the criticism is not only mean spirited, but unwarranted and possibly unqualified. 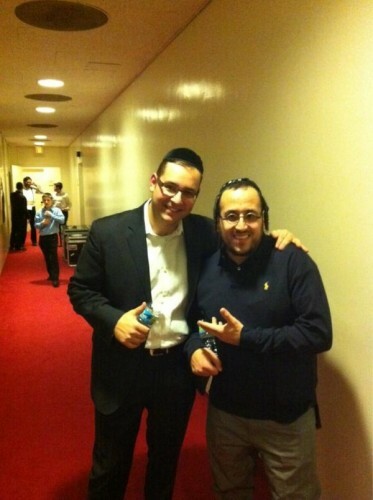 Why are you comparing Yoel Sharabi and Benny Friedman? Friedman, I agree, is very talented and probably even deserving of having been put in the show this year, but why are you adding “up and coming…”? First of all, he’s an established performer who’s already come…at least 5 years or more.Second, this article is to report on a show and the stars in it, not to promote your favorite artists, especially at the expense of another established performer like Yoel Sharabi, who did a fine job up there and appeared, as he always has to my recollection, as a professional, neatly dressed, quite energetic, knowing what he’s doing, being able to do now what he did years ago at least as well as he always has. Sharabi’s not necessarily my favorite but he’s great at what he does. Performers today have much to learn from pros like Sharabi, Fried and others. If you have something to say, say it in the right forum. Don’t sneak it in because you see an opportunity, ruining what was otherwise a good read. YBC was invited but had already committed to a concert in Baltimore. 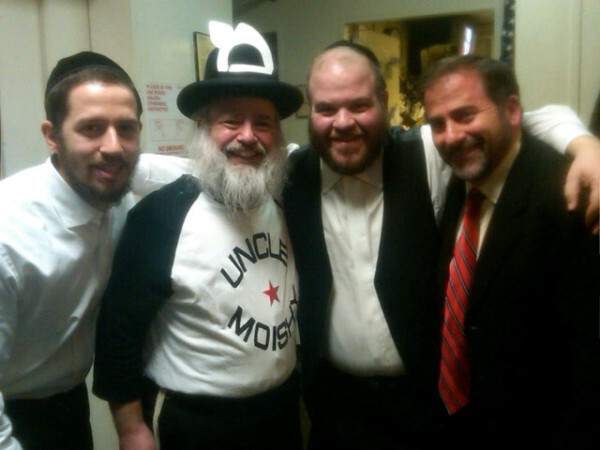 BTW, a Mazel Tov to Yossi Newman on the birth of a Son. I think Miami was the best. 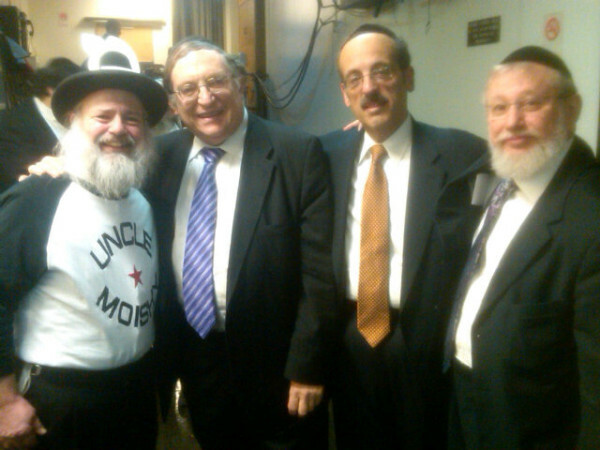 It was good to see Yerachmiel on the hasc stage again. I would like to know why they weren’t there the last 10 years . Criticism? I don’t remember there being any criticism. I simply stated that Sharabi, someone I remember seeing performing live at least 25 years ago, doesn’t have the voice and the energy of a 25 year old. I don’t know of a singer out there who has the same voice at 50 that he did at 25. Sharabi did a very nice job with Mi Shemaamin, a song that just came onto the radar of many a mainstream Jewish music fan thanx to the version that was released a few weeks ago by Benny Friedman. Clearly this is not a new song – the original by Eyal Golan has close to 4 million hits on YouTube. But first time I ever heard it was at Ohel and am guessing that for those who weren’t at Ohel, the first time they may have heard it was when Benny Friedman released it in December. As for me having an agenda and being mean spirited, seriously? I promise you, if I have something to say, I will come right out and say it. Glad to hear that other than that you enjoyed the recap and hope you enjoyed the concert. As for the sideways pictures, mea culpa. Will try to get them fixed. 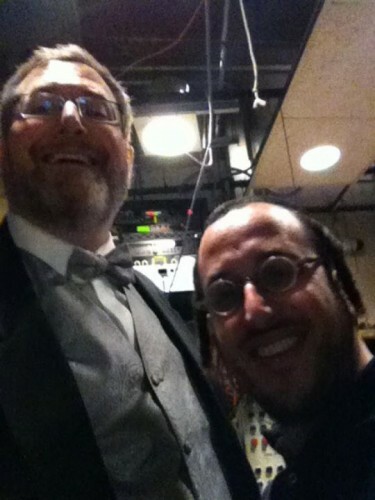 it was my 3rd fave song after the closing medley, and fried`s sholom aleichem! im going to listen to it right now!!! can i ask does anyone know why the last 4 hasc concerts has had no strings/violins? the musicians are good… but they just need a few more musicians because theyve really made the orchestra small these days!